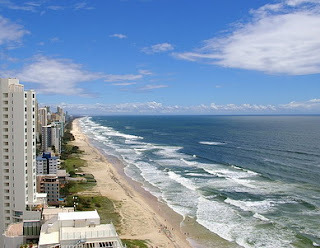 Gold Coast, became an icon of Queensland tourism. Exotic beach area that located right on the edge of the Pacific Ocean waves. Can be taken only 1 hour drive from the capital city of Queensland, Brisbane. At coast goald many interesting tourist attractions you can visit. This place is a paradise of fun. Gold Coast offer endless white sandy beaches, stretching dozens of kilometers. There is also five amusement park (theme park), shopping enthusiast can also shop to satisfaction because of the shopping center is open until 10 pm. Gold Coast is a tourist center in Australia. Each year, millions of people vacation here. Many say the charm of the Gold Coast is like Miami in the U.S.: the white sandy beach stretching dozens of kilometers, decorated apartments towering over the beach. Surfers Paradise is often referred to as the jewel of the Gold Coast and one of the most popular holiday destinations in Australia. Which is why you should not miss to visit this region. A perfect blend of city and beach lifestyle located in the middle stretch of spectacular skyline and brilliant beaches. Surfers Paradise as well as a variety of places of amusement parks, open restaurants, art galleries, fairs, and designer clothing store is an exclusive style. Here you will not find a shortage of things to do. In fact, you probably will not have enough time to enjoy all the pleasures that are available in Surfers Paradise. Sea World is located in Main Beach, Gold Coast is one of the oldest theme park in the Gold Coast. 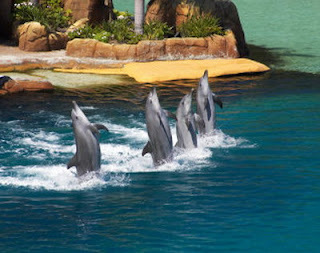 But, still, Sea World is a fun place to see various marine life, rides, shows and other attractions. At Sea World this you can see the dance of dolphins, polar bears are cute, holding a stingray, meet penguins, and sharks are amazing looking. In addition to performing vehicle in the form of marine life, you can also see Jet Extreme Stunt Show, a 3D cinema, Sesame Street Beach, Castaway Bay, Jet Rescue, Sea Viper rollercoaster, and Viking's Revenge Flume Ride. Currumbin Wildlife Sanctuary, with hundreds of native Australian animals on display in natural bushland and rainforest environment, Currumbin Wildlife Sanctuary provides a rare opportunity to get closer to the amazing wildlife native to Australia. This wildlife sanctuary was first built in 1947 by Alex Griffiths to stop bird Lori in destroying flower beds. 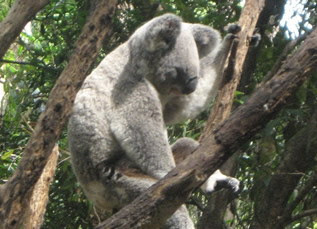 Currently, Currumbin Wildlife Sanctuary is home to the world's largest collection of animals native to Australia. Tropical Fruit World is the largest plantation in Australia. The location of this garden is on the border between Queensland to Now South Wales, or about 35 minutes from Surfers Paradise. Agriculture as a tourist destination, Tropical Fruit World has a large collection of rare fruits such as fruit Lemonade, Chocolate Pudding Fruit, Champagne fruit, and fruit Naga. In addition to the orchard, the garden is also equipped with other attractions including golf courses, parks fauna, children playground and flying fox. You can also taste fresh fruit according to season in the Miracle Fruit Show. 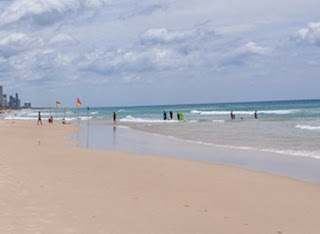 Broadbeach is a beach area, that is located in the south of Surfers Paradise and offer the same style of the beach lifestyle. Broadbeach has a quieter atmosphere than Surfers Paradise, but still has a stretch of beautiful beaches, as well as dining and shopping options that diverse. 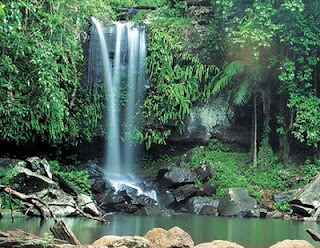 Mount Tamborine is a mountainous region in Queensland and part of Tamborine National Park. 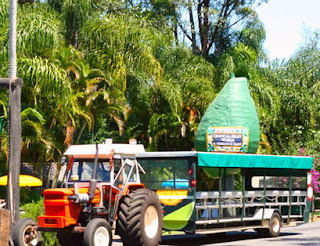 Location of Mount Tamborine is only about 30 minutes from Gold Coast to ride the vehicle. Here you can find many waterfalls and lush rainforests. Which of course is perfect for relaxing away from the hustle and bustle of urban areas. You also can visit the wineries, such as Heritage Wines of Tamborine and Witches Falls Winery. You can even taste the wine for free in this place.